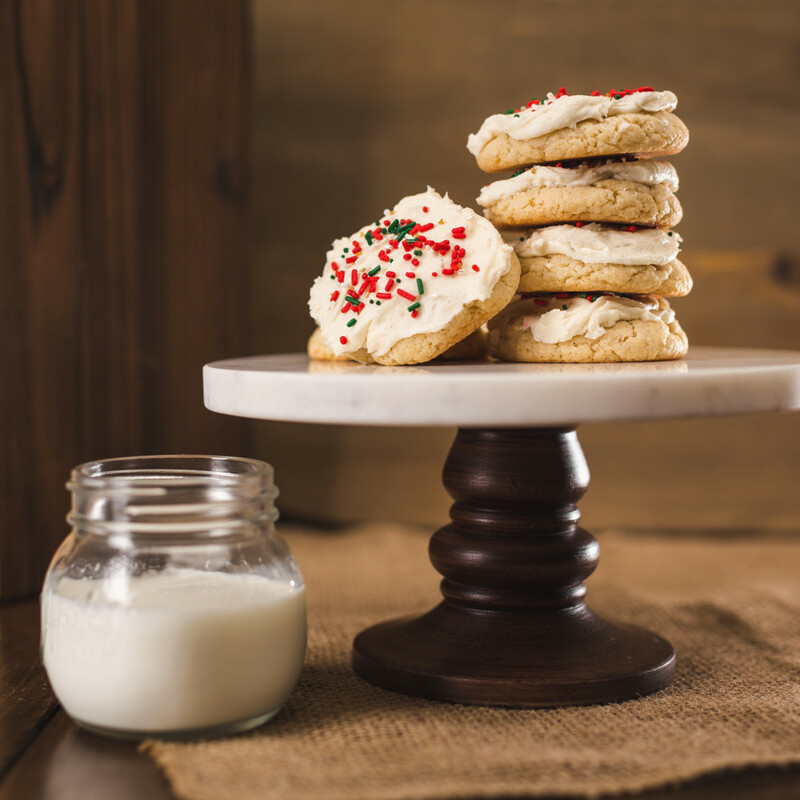 This twist on the classic sugar cookie might just be your new favorite holiday cookie. Beat in egg and vanilla, then add in next five ingredients. Stir in eggnog and mix until fully combined. Using a spoon or small ice cream scoop, scoop two tablespoons-worth of dough from the bowl and roll into balls. Place onto parchment-lined baking sheets and flatten dough balls slightly. Bake for 12 minutes or until edges are slightly golden. In a small mixing bowl, cream butter until pale and fluffy, then add in remaining ingredients and beat until light and fluffy. When cookies have cooled completely, spread icing and top with sprinkles or a dash of nutmeg.